This week The Man About Time takes a step into history, looking at watches designed around specific eras and historic icons from decades gone by. Finding inspiration from cars, planes and even natural catastrophes, they are a snapshot of time captured in a single piece of mechanical beauty. We have talked a lot in this column about the importance of choosing watches to which you feel a personal attachment and which complement your sense of your own style, but what if your style includes a sense of heritage? Obviously anybody who really likes watches, particularly mechanical watches, in the digital 21st century is not entirely devoid of a connection to the past. Some manufacturers have capitalised on that by producing heritage timepieces which are reminders of past ‘golden’ days of the railways, motor racing or aviation for example, but others have gone a stage further and incorporated pieces of the past into their watches. 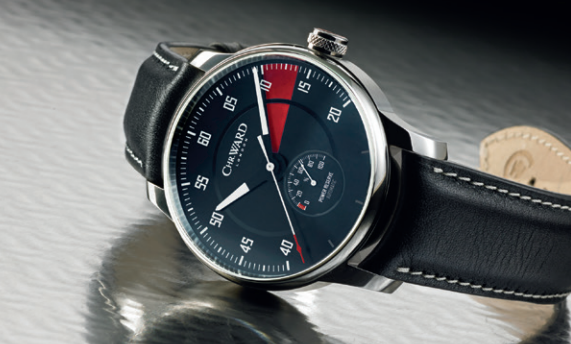 Three of the most interesting houses which have followed this route are Romain Jerome, Bremont and most recently the often discussed Christopher Ward. Finding and acquiring, sometimes at great expense, steel or other materials from historic ships, aeroplanes, cars or even spacecraft and working them into watches has produced pieces which deliver not only a tangible connection with the past but also a very individual style. There has been some debate about whether this adds to the horological significance of the timepieces but as The Male Stylist is really looking at its style, we are not going to take sides. What we can say is that some of these items have proved solid investments which have either kept or increased their value. 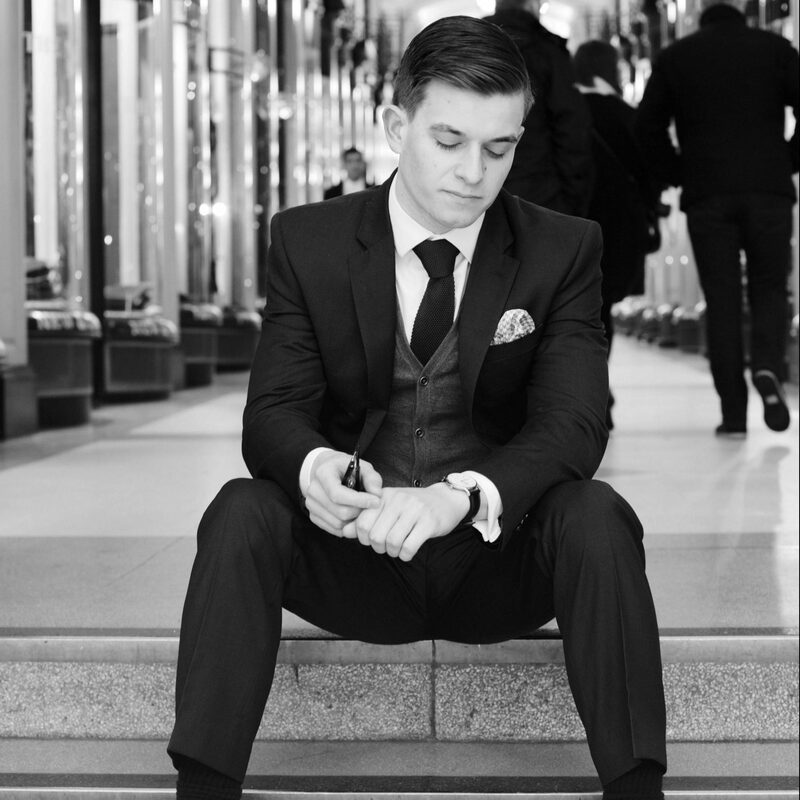 We would never advocate buying a watch, no matter how inexpensive or extravagant, for any reason other than you love it but not losing money as you walk out of the glittering showroom is always something to think about. Romain Jerome is a Swiss brand which has been producing watches incorporating some extremely rare materials, ranging from traces of moon dust (yes really), elements from Apollo 11 or a spacesuit, slices of meteorite, lava or stabilised rusted steel recovered from the Titanic! 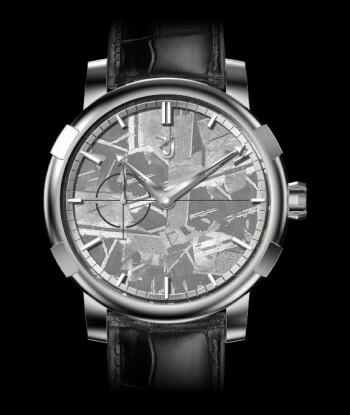 Most of Maison Jerome’s watches are very definitely on the larger size at around 46mm diameter but the 1969 Heavy Metal Meteorite, with the dial made from …….. a slice of meteorite and traces of moon dust in the case back, is perhaps their most wearable at 43mm. It features an automatic movement, is limited to 99 pieces and priced at a corresponding CHF9990 (currently £7,173) though that does include travel and accommodation up to £720 to collect it in Switzerland. Delving deeper (with apologies) into the brand’s ability to craft memorable watches from iconic items, the Titanic DNA series features rusted steel recovered from the ill-fated Titanic, stabilised and integrated into the case. Many of the limited edition watches in this collection are sold out though the slightly improbably styled (goodness knows what damage it does to your shirt cuffs) Octopus, one of only 888 at around £8600 are still available. If you are feeling individual (and have just collected a generous bonus cheque) you could click ‘buy now’ and perhaps get in a little last minute skiing as you collect it. Bremont have also been out sourcing rare fragments but with the aeronautical heritage of Nick and Giles English it is no surprise that their EP120 featured parts from a famous 1942 Spitfire MkV. 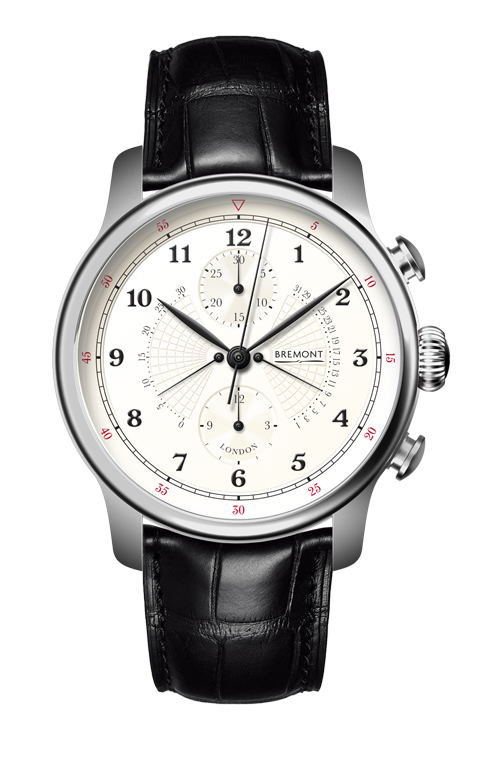 Its 30-minute Chrono ‘Time of Trip’ dial, is an original Spitfire part and it has a black Diamond Like Carbon (DLC) version of Bremont’s treated steel and titanium case. No prices on this one as it is completely sold out as is the similar P-51 featuring parts from an American WW11 Mustang fighter plane. Perhaps slightly more surprising is their nautical themed Victory model, pictured below left, which has both copper and wood from Nelson’s famous flagship carefully worked in. This very special watch was (you cannot buy this one new either!) available in stainless steel or rose gold models and a portion of the proceeds were donated towards a major refit to preserve HMS Victory for future generations. 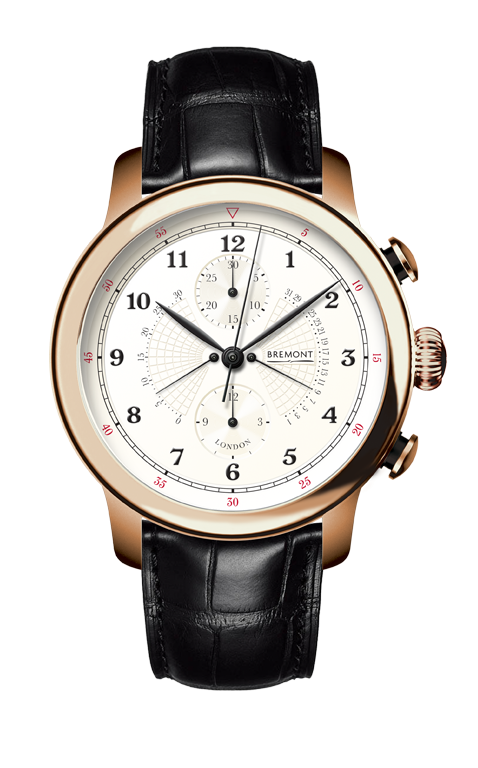 240 Stainless steel cased versions were manufactured alongside 60 cased in rose gold. Again part of the proceeds of sales were donated to the Bletchley Park Trust. It probably won’t come as a surprise to learn that they were also all sold! The only place you can buy these limited edition pieces now is on the used market where they are already fetching a premium. One limited edition timepiece that you can still buy, for £2950 if you hurry because they are making only 40 of them, is Christopher Ward’s C9 GT40. With a piece from an aluminium wheel spinner from a two-times Le Mans 24 Hours Race winning Ford GT 40 cut into an image of a GT40 wheel and simply oozing racing style, this Christopher Ward watch has laid down a serious challenge in the heritage timepiece market, and done so with their usual ‘value for money’ ethos. Sometimes we do expect a little too much from CW and with that fuel gauge power reserve indicator going up to 100 then 100 hours seems logical. Slightly disappointingly it is only a 46 hour power reserve – but conversely, it is hand assembled in Switzerland. Even if you don’t buy the watch, do take a look at the video on the website. It is a fascinating insight into how these evocative watches are designed, and those vital pieces of history are sourced and given new life though the craft of the watchmaker.